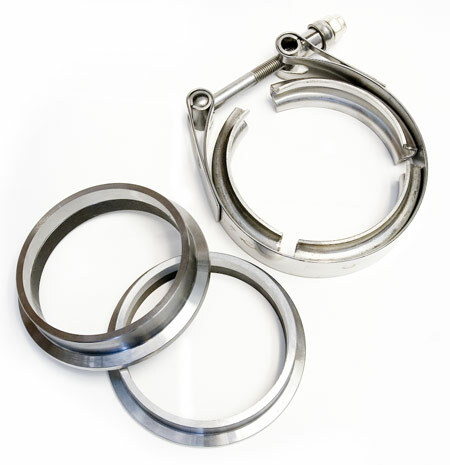 4.0 inch Stainless V-Band Flange and Clamp Set. Flanges are "male" and "female" stepped lip matching set. To Be used to make a nice V-Band connection joint on 4" OD (outer diameter) Tubing/Piping size.